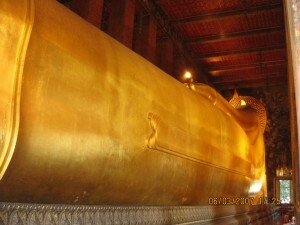 Wat Pho วัดโพธิ์ has the longest reclining Buddha and you will need to pay 50baht entrance fee (to help in temple maintenance). 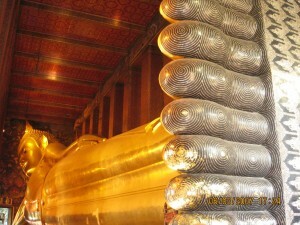 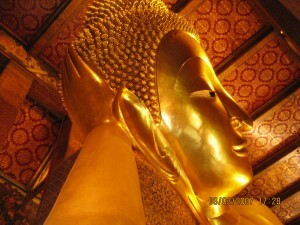 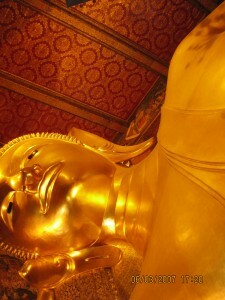 The feet of the Reclining Buddha. 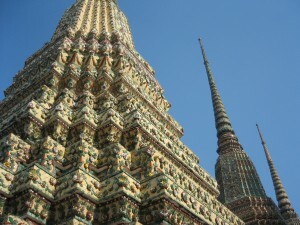 The back view. 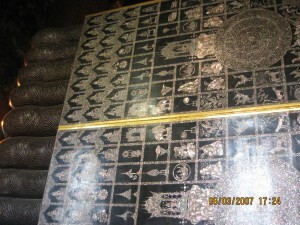 Some people buy a bag of coins and place in the almsbowl which are lined up at the back. 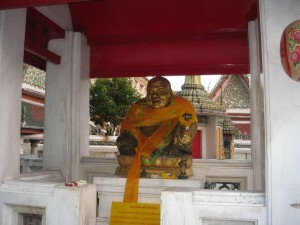 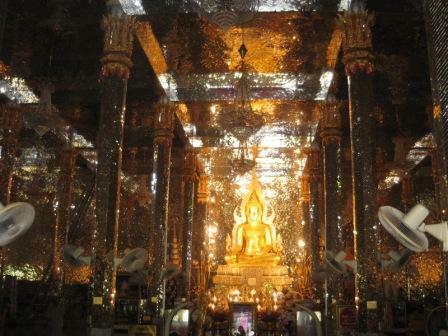 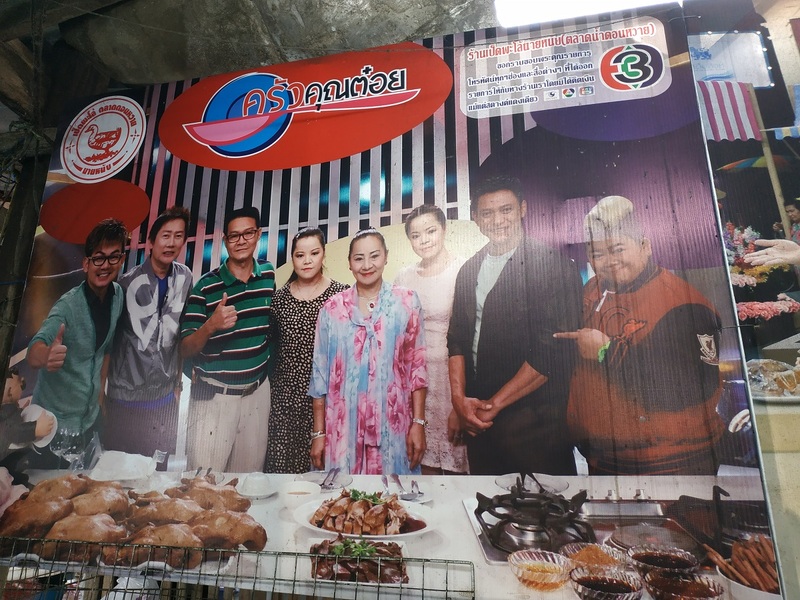 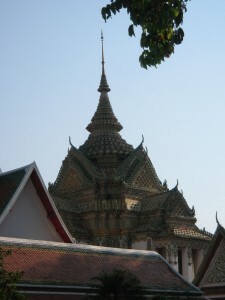 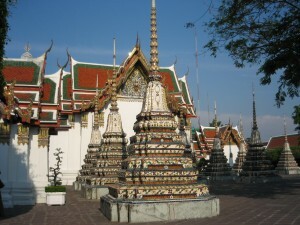 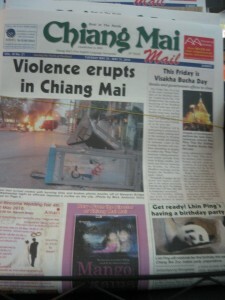 The outside scene of the Wat. 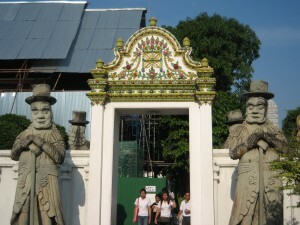 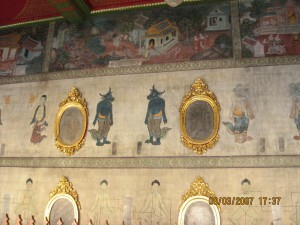 Guardian Deities guarding the gates and entrance. 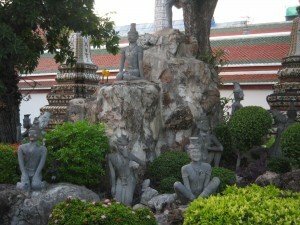 In the evening, the temple grounds become a buzz with the local kids playing various games. 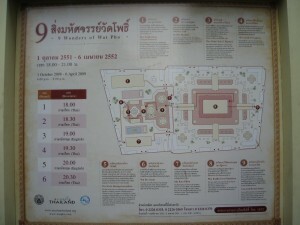 Of course, like all temples, they close around 6pm so don’t come too late.